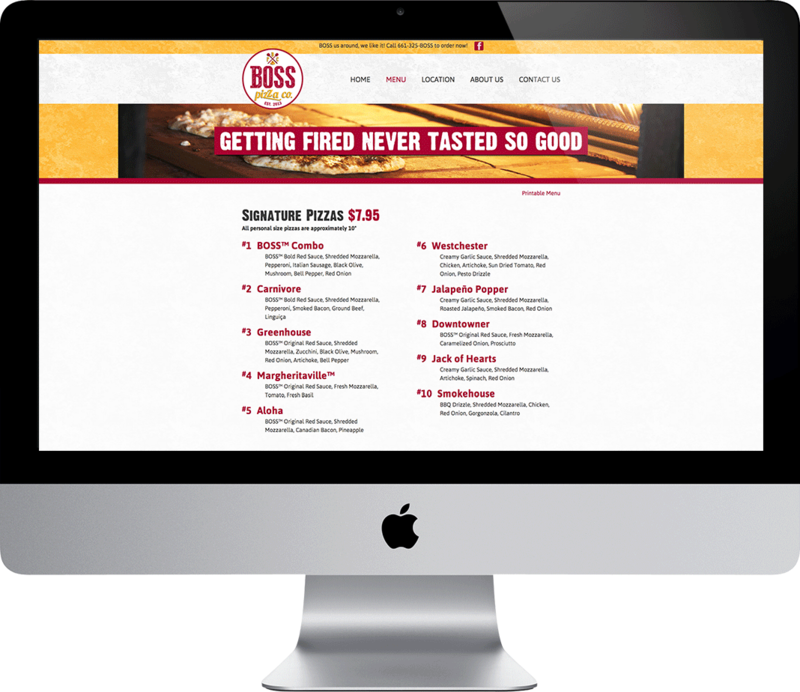 Boss Pizza is a new restaurant located in downtown Bakersfield. 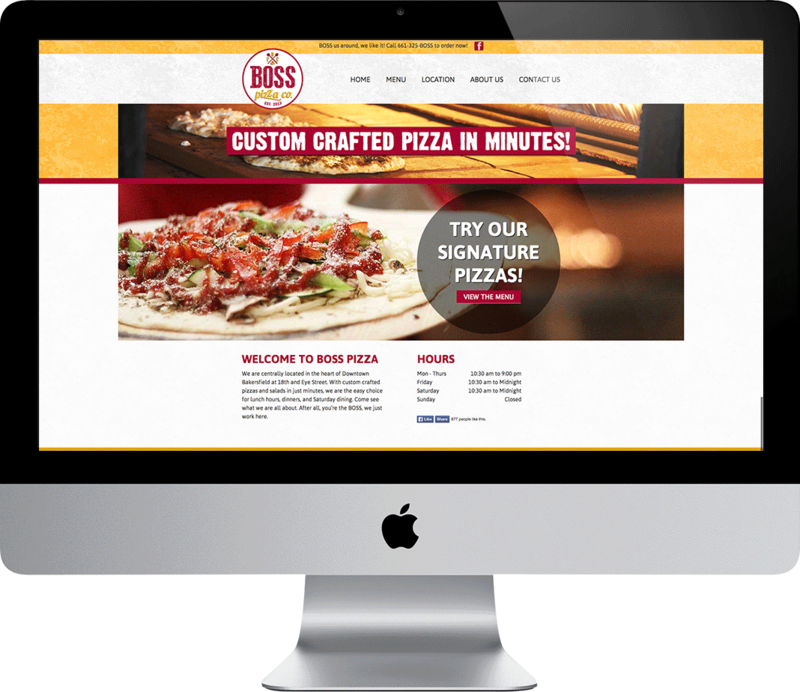 The website showcases their bold atmosphere and provides an effective web presence while on a tight budget. Establishing a sense of authenticity, the website has helped their business grow over the past year.